Warp knit construction for lightweight warmth. Raglan sleeves allow for natural range of motion. Stand-up collar provides additional coverage. Ribbed cuffs and hem for a snug fit. Split kangaroo pocket provides convenient storage. Woven Brasil CBF crest shows your team pride. 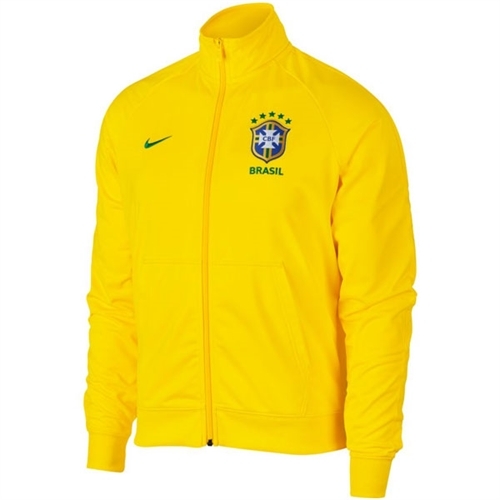 Our Nike Brasil CBF Jacket 2018 features warp knit construction for lightweight warmth, a full-zip stand-up collar and raglan sleeves for a natural range of motion.